The news out of Sarasota, Florida caught many people by surprise. A doctor in the city has lost his license because he aborted what is now described as the “wrong” baby. Back in 2006, Dr. Matthew Kachinas had been asked to perform an abortion on a baby that had been identified as having Down syndrome and other congenital defects. Instead, the doctor aborted that baby’s healthy twin. A Sarasota doctor has lost his license for mistakenly aborting a healthy twin during a procedure targeting a deformed fetus. Immediately after the Florida Board of Medicine’s decision Saturday, Dr. Matthew Kachinas was involuntarily hospitalized because he said he planned to commit suicide. 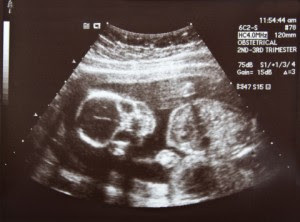 Kachinas had blamed faulty ultrasound equipment for the 2006 mistake. He was targeting a fetus with Down syndrome and signs of a heart defect. What are we to make of this? We now know that the vast majority of babies identified prenatally as carrying the genetic markers for Down syndrome are aborted. National statistics indicate that 80-90% of such babies are now aborted — meaning that we have launched a search and destroy mission on Down syndrome babies in the womb. The situation with Dr. Kachinas reveals the horribly confused morality that marks modern America and, in far too many cases, the practice of medicine. This doctor was asked to perform what is now euphemistically called a “selective reduction.” Instead, he aborted “the wrong baby,” killing a healthy baby instead of the baby identified as carrying the markers for Down syndrome. Consider what this means for the sanctity of human life. We are now looking at babies as consumer products. We will accept babies that meet our specified qualifications, and abort when medical tests or other factors reveal that the baby does not meet our standards. Human life is reduced to just another consumer product subject to consumer preferences and demand. Do we recognize what this means? The abortion of Down syndrome babies is a scandal of the first degree, and this nation is growing more complacent and complicit in this scandal by the day. Beyond this, we can be certain that babies are now being targeted in the womb for reasons far beyond Down syndrome. Specialists working with autism are concerned that forthcoming genetic tests will put babies who carry markers for autism next on the list for prenatal search and destroy missions. The answer to that question will tell us all we need to know about the conscience of the age.